In June at the beer festival in Idaho Falls, a brewery I’d never heard of cleaned up at the 2017 North American Beer Awards by winning more medals than anyone. At the festival, I looked fervently for their booth to no avail. When our road trip took us through Laramie, Wyoming at dinner time, I took the opportunity to visit Altitude Chophouse & Brewery. This upscale eatery in downtown Laramie serves steaks, burgers, seafood, and pizzas alongside a menu of award winning beer. I had the Brisket Street Tacos and flight of 6 beers that came in proper tulip tasting glasses. There was a tangy pineapple sour with Brett, a flavorful coffee blonde, and a nice West Coast IPA with citrus and tropical fruit hoppiness. I saved the best for last; a bourbon barrel-aged Baltic porter called “It’s Winter Somewhere.” Boasting wonderful whiskey and vanilla notes, it’s boozy without being too heavy. Overall, this is a solid brewery and worth the stop. Five years ago, there weren’t any breweries of note to be visited, but there are now two that are certainly up to snuff. 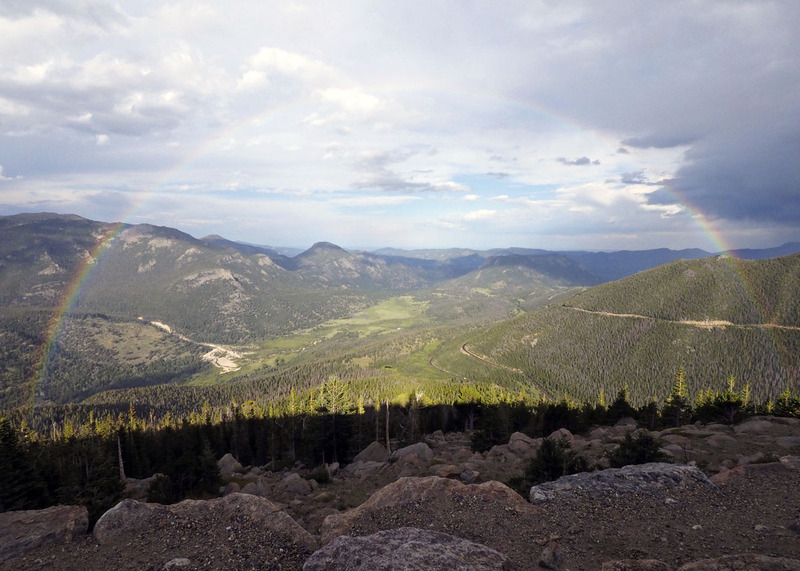 This tourist town, on the doorstep of Rocky Mountain National Park, is accustomed to an older crowd and those who may not have the most adventurous of tastes, but it’s really started to cater to the Yelpers and beer lovers who find themselves there. 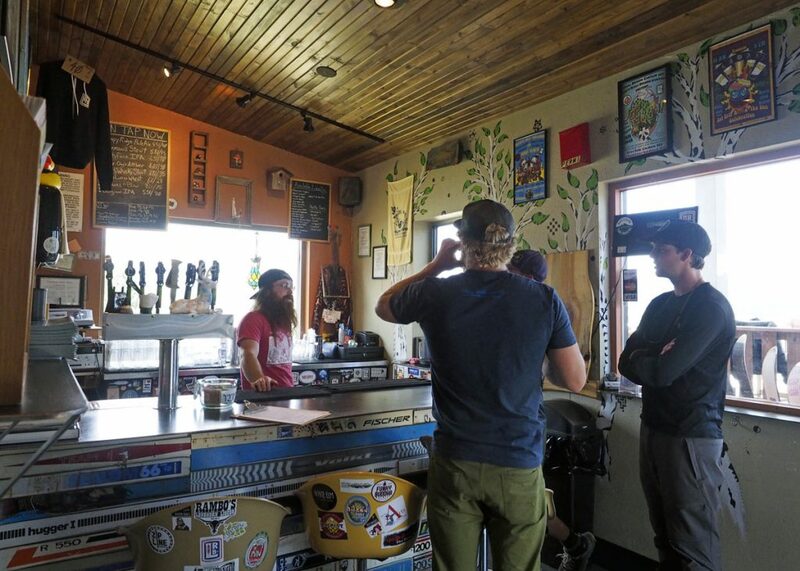 One such place, in an old gas station on Highway 7, is Lumpy Ridge Brewing Company. The bar inside is tiny, but the patio is a great place to chill and eat a food truck sandwich while listening to live music. 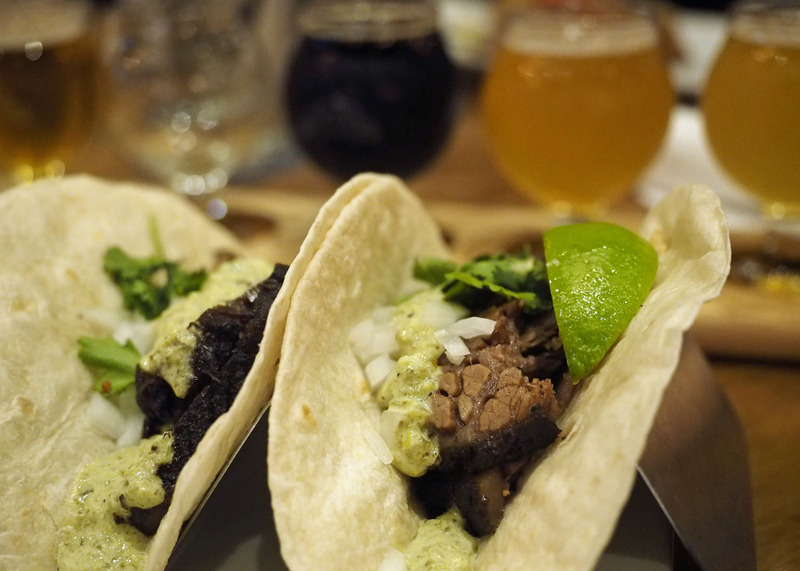 When it comes to the beer, Lumpy Ridge is definitely pushing the envelope. The result is a little hit-and-miss, but the hits can be pretty damn good. One thing I noticed here was a certain “weed in a glass” dankness to the hops being used, perhaps a theme of the state. The “Lumpy Ridge Pale” did a great job balancing the dank with the malt making it one of my favorites of the visit. I also liked the seasonal “Sunlion Wheat” with its Belgian yeast and light lemon/lime flavors. The most interesting of the beers I tried there was “Sour Ogg’s FM Altbier.” It had sugared plum sweetness, apple cider vinegar tartness with the essence of oak from the barrels it was aged in. It didn’t taste like anything I’ve had before. 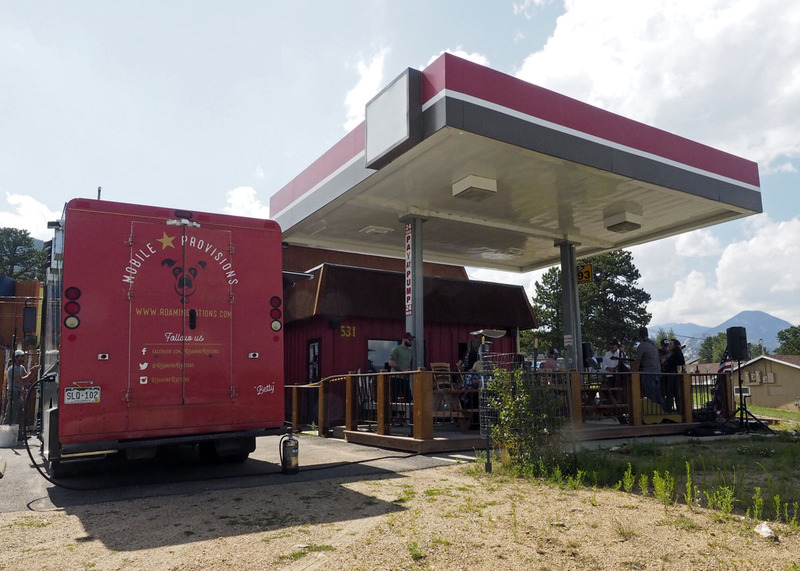 Also new to Estes Park is Rock Cut Brewing Co. Located in a funky, old Tudor-style strip mall, Rock Cut has a comfortable indoor/outdoor space. Like Lumpy Ridge, there’s no kitchen, but you’re invited to bring your own or eat from the food trucks that frequent the place. 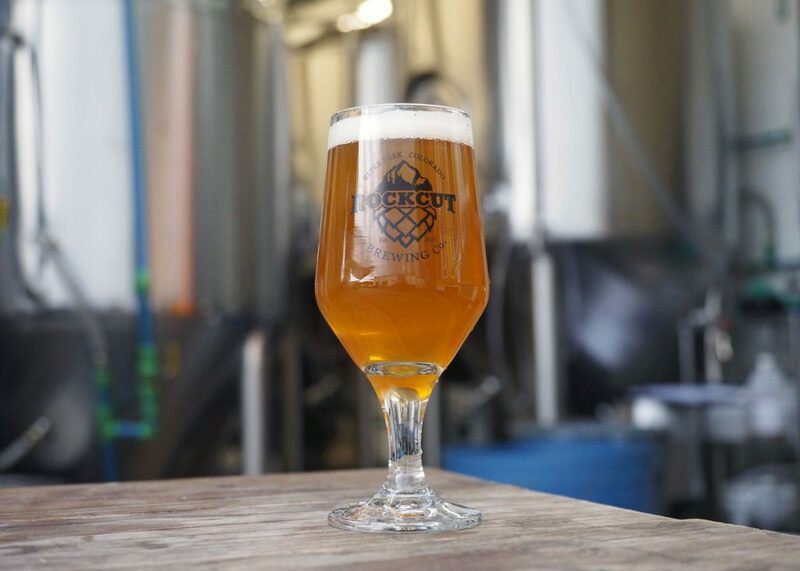 The beer at Rock Cut is very well-balanced and should be pleasing to most any palate. There isn’t anything particularly mind-blowing, but certainly consistently good and highly drinkable. They make a Northeast IPA (“East Portal”) with a complimentary Brett version (“Funky Portal”). Both were quite lovely. 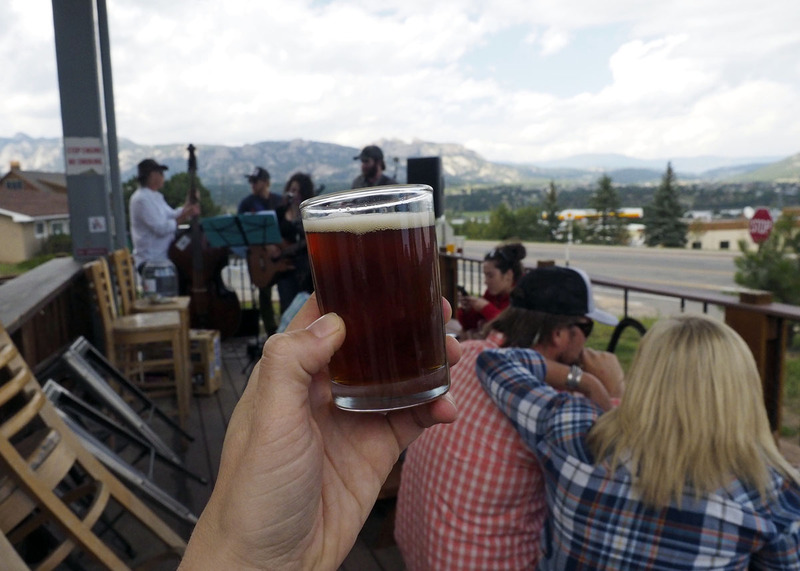 If you like it smoky, try the red IPA (“The Bitter Librarian”) or the brown ale (“Smoky Brunette”). The latter actually reminded me of a Rauchbier. 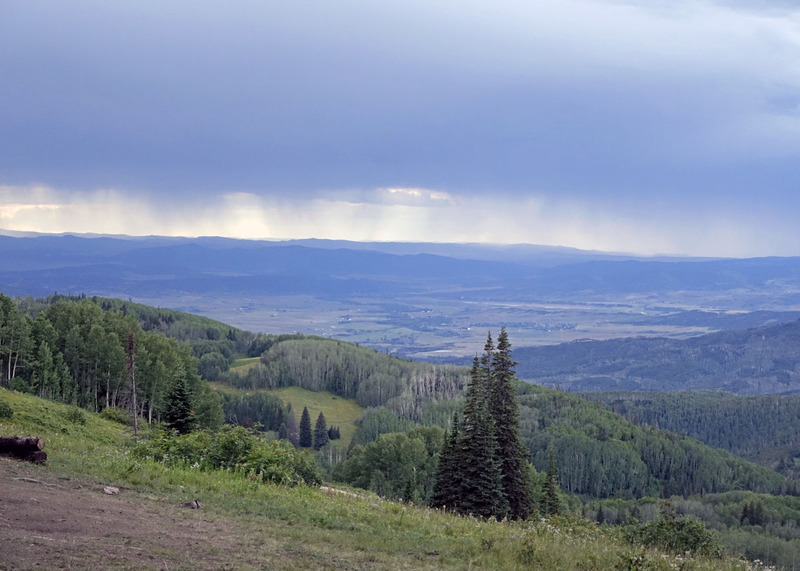 I just love Steamboat! 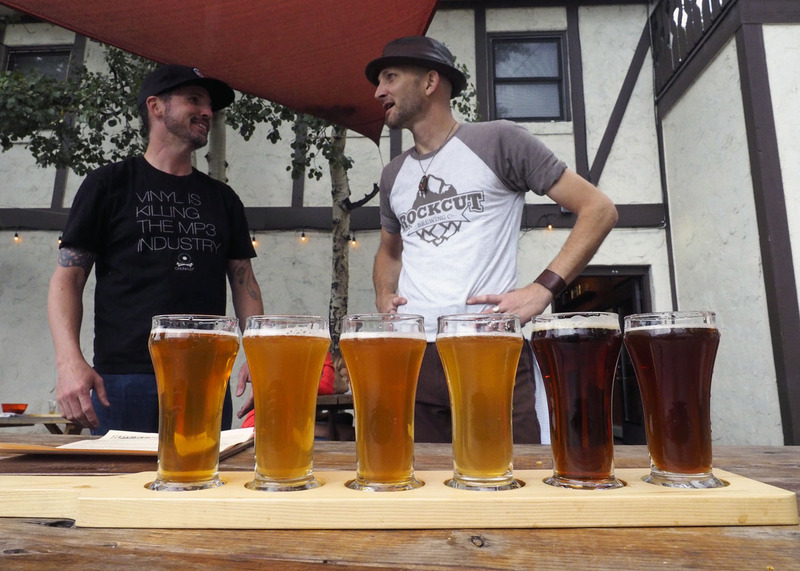 They’ve got it all; mountain biking, hot springs, weed, and lots of opportunity to drink good beer. I only wish I could have spent more time there, which means I will be going back. 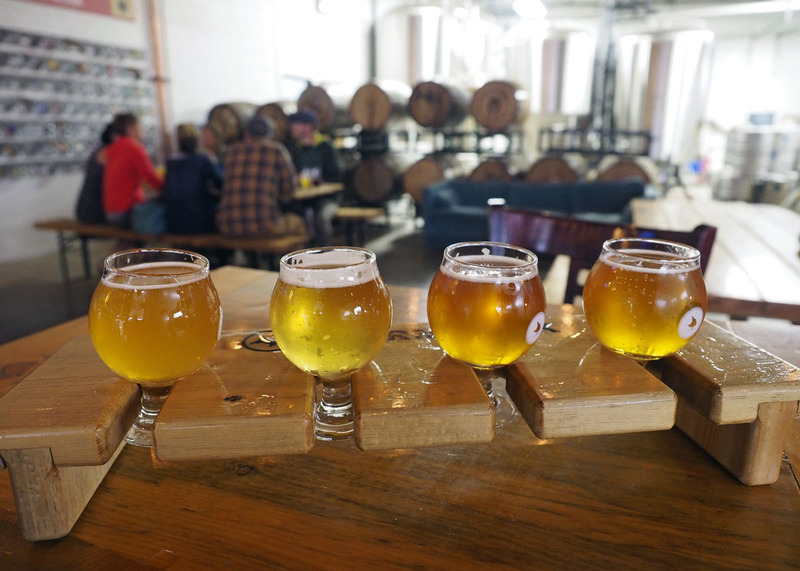 I only had time to hit one brewery, but I’m aware of at least two others and a craft beer specialty bar that will have to wait for another trip. 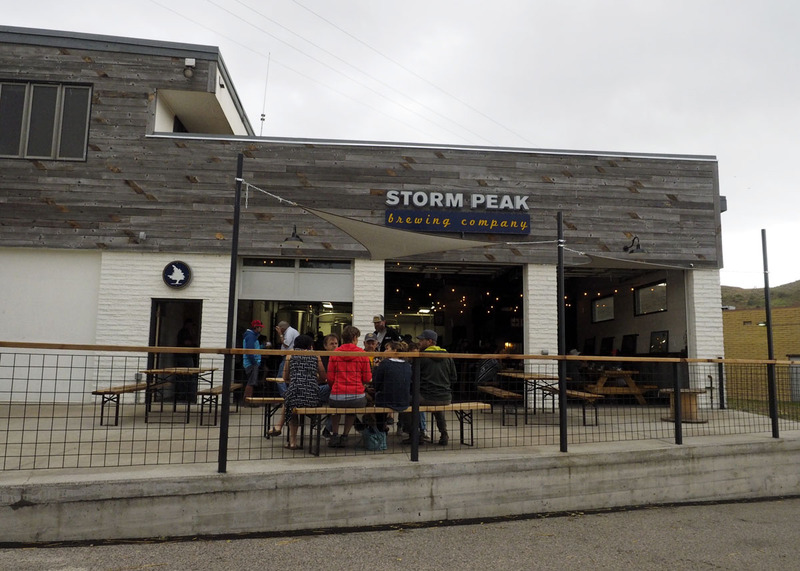 After a day of mountain biking at Buffalo Pass and a soak in the Strawberry Park Natural Hot Springs, we headed over to Storm Peak Brewing for some refreshment. Luckily there was a Moe’s Original Bar-B-Que next door to satisfy our hunger. We took our pulled pork sandwiches over to the brewery and settled in while a rain storm blew through. 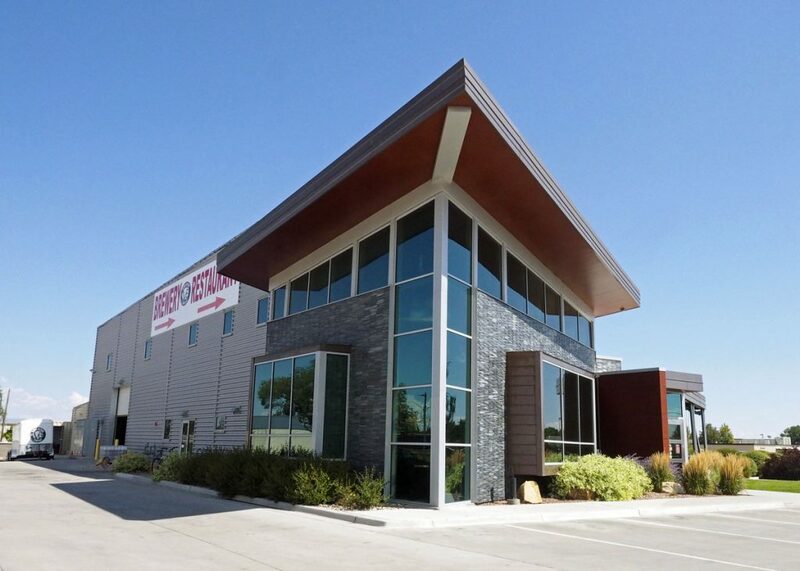 Storm Peak has a large open floor plan with rolling garage doors that open onto the patio and no walls or glass separating patrons from the brewing area (similar to Fisher in Salt Lake). It’s a casual, relaxed place to have a few beers and socialize with friends. I tasted a SMaSH pale, the “Chowder” NE IPA, the “Maestro” IPA, and the “Gallagher Watermelon Gose.” My favorite was the Maestro with its symphony of berry hop flavors, and I also enjoyed the lightly tart gose. Since we were traveling home on I-40, we had to make stops at Dinosaur National Monument and Vernal Brewing Co. I can’t believe I’d never been to either! 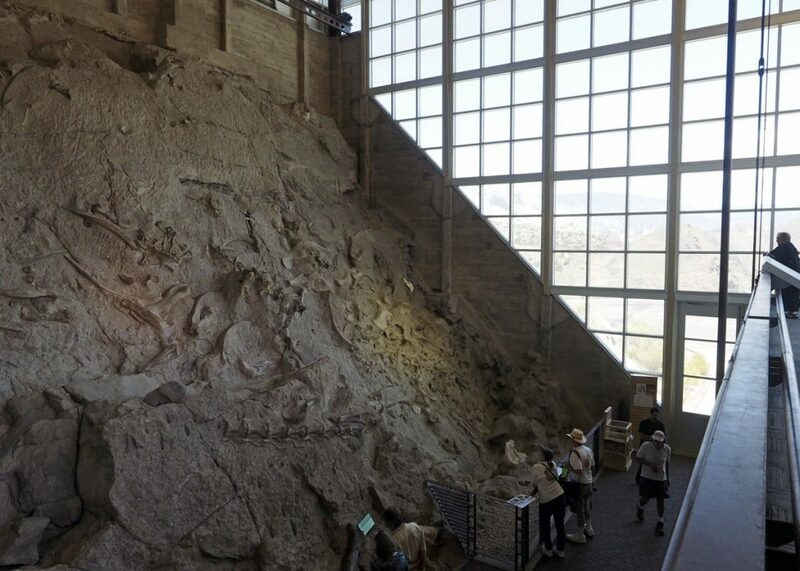 This is another place I will need to revisit when I have more time because the dinosaur bones were super cool and I know there is a lot more to it. Also, the brewery was pretty awesome. I don’t know what I was expecting, but I was duly impressed. 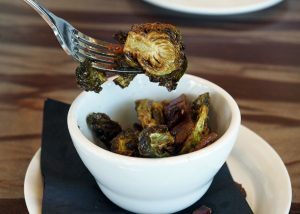 The fried Brussels sprouts and mac & cheese both had delicious candied bacon, and my husband loved his burger. We appreciate that they have a garden where they grow a lot of their ingredients fresh. As for the beer, my admiration for it was greatly enhanced by my visit to the source. I tried everything on the menu I’d never had before and came away with the opinion that VBC rocks! I adore the “Rigor Mortis Red Ale” and “Directional Smoked Porter”, and I know from past experience that both the “Allosaurus Amber Ale” and “Mama’s Milk Stout” are outstanding. Vernal seems to have a way with roasted malts that creates rich flavors without being heavy-handed. 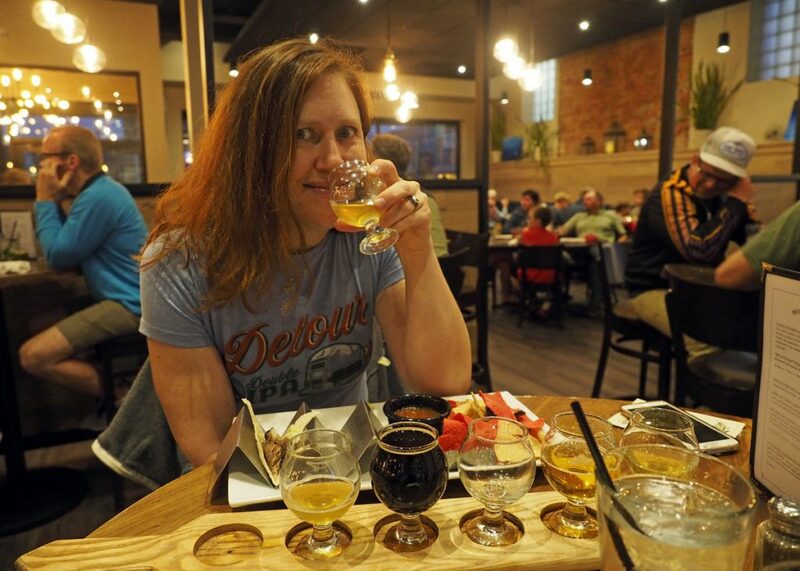 For something lighter, definitely go with “Little Hole Lager,” “She’s a Peach Wheat,” “Ms. Bee Hiven,” or “Pilgrimage Extra Pale Ale.” Thanks, Vernal, for the welcome home!